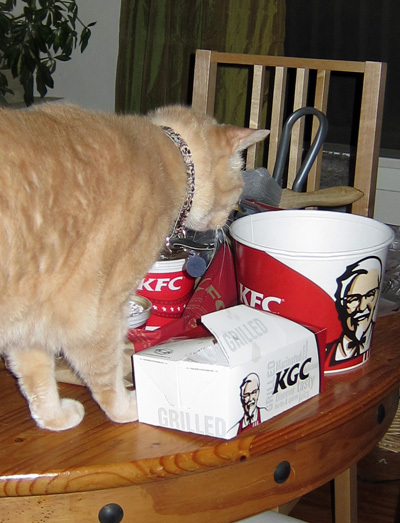 Staff was lazy and made a rare trip to KFC for dinner. It turns out that Jeff likes KFC chicken even more than Carl’s Jr. french fries. 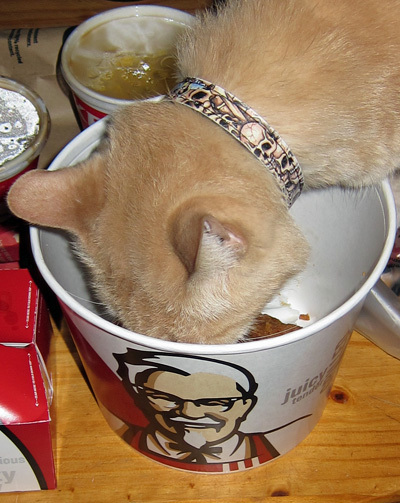 Staff gave the hovering and meowing Jeff many bites of Original Recipe. 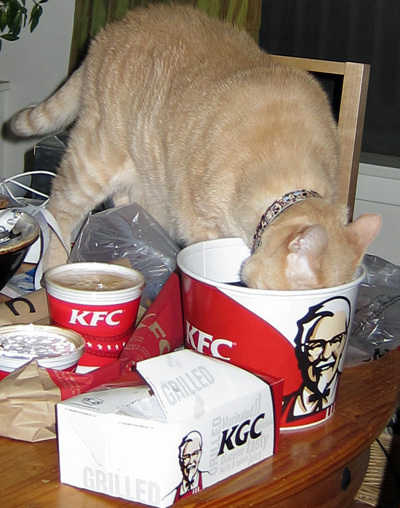 But later, an odd sound indicated Jeff had found his way to the table with the chicken bucket. He was attempting to extract a wing. In the future Staff will have to get a bigger bucket; or perhaps Jeff would enjoy the Double Down.